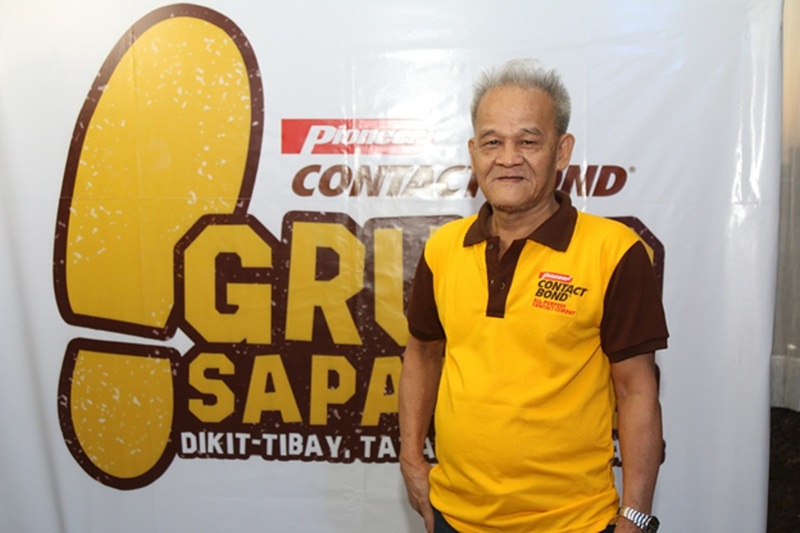 Pioneer Adhesives, Inc., makers of Pioneer Contact Bond, successfully launched Grupo Sapatero on March 17, 2017, an association of local shoemakers and manufacturers, in a bid to help uplift the shoe industry in Marikina City. 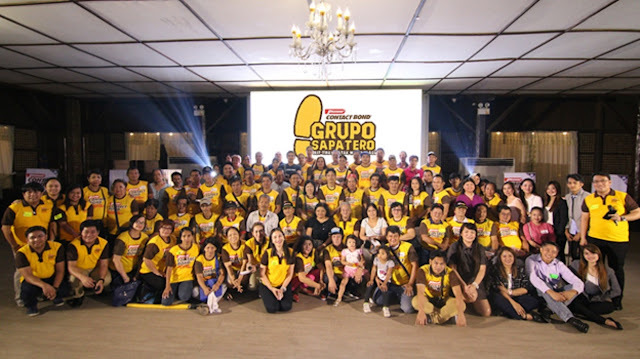 The local shoemakers who gathered at the event launch were declared to be the first members of Pioneer Contact Bond’s Grupo Sapatero. 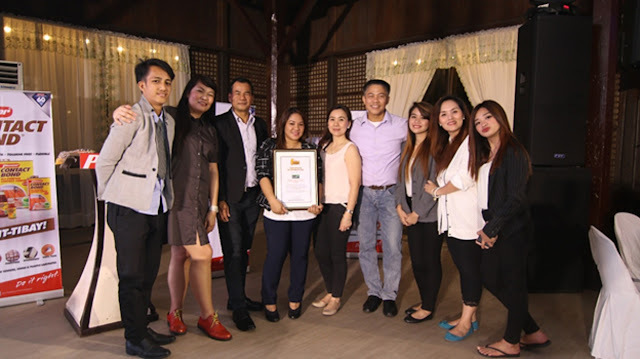 This event was held at the historic Kapitan Moy Events Place, the 200-year-old house of Don Laureano “Kapitan Moy” Guevarra, the founder of the city’s shoe industry. According to Camille Fernandez, Asst. Product Manager of Pioneer Adhesives, Inc.—the said association was initiated to not only provide assistance to the members, but also mount programs like free training and workshops. This effort was greatly supported by local government of Marikina City through the Marikina Shoe Industry Development Office (MASIDO)..
“Pioneer Adhesives Inc., as a leading Filipino-owned company, has always been dedicated to helping the local industry because we also believe in the quality of Filipino craftsmanship. We saw the need to support the shoemakers and manufacturers, who are continues to craft dikit-tibay and tatak world-class products. They have also been doing their best to revive the glory of the Marikina shoe industry,” Fernandez added. With stiff competition due to the entry of cheaper imported brands, the country’s Shoe Capital has experienced a decline in production. The industry also had to contend with a decline in the number of expert cobblers. Many of them having been forced to look for other forms of employment. Despite these realities, the local shoemakers remain resilient in making world-class quality footwear. Most of the small and micro-scale manufacturers, also continue the art of crafting quality shoes passing on the legacy to the next generation of cobblers. Rolando “Tatay Oly” Santos, dubbed as the Presidential Shoemaker, shows his support for Pioneer Contact Bond Grupo Sapatero. Among these shoemakers is Rolando “Tatay Oly” Santos, an expert cobbler credited as the “Presidential Shoemaker.” As one of the first beneficiaries of Pioneer Contact Bond and now a member of Grupo Sapatero, he encouraged his fellow shoemakers to continue doing their craft. “Marami talagang gustong magsimula ulit sa paggawa ng sapatos. Sana, ipagpatuloy nila yun. Kaya malaking tulong itong Grupo Sapatero para sa’min. [There are a lot of cobblers who want to start anew. I hope that they will continue doing their craft. That is why the Grupo Sapatero is really a big help for us],” Tatay Oly said. Officers of Marikina Shoe Industry Development Office (MASIDO) with their OIC Mr. Noel Box (third from left) showing their plaque of appreciation for the office’s support to Pioneer Contact Bond Grupo Sapatero. Marikina City Mayor Marcelino Teodoro, on the other hand, noted that the challenge now is to keep the industry alive through continuous support. Currently, the local government of Marikina has been mounting projects to help the shoe industry, through MASIDO. It also advocates training the younger generation to learn the craft. In fact, shoemaking courses are now being offered in schools, specifically in the Marikina Polytechnic College. “The Grupo Sapatero is a big help for our local shoemakers. It also complements our projects for this sector, which has been a source of livelihood for Marikeños for many decades,” Teodoro added. In the coming months, Pioneer Adhesives Inc. will focus on giving the necessary support for the members of Pioneer Contact Bond Grupo Sapatero. The company will also support them in crafting products through the company’s high-quality adhesives. Though, the company is also looking to extend the Grupo Sapatero to other shoemaking industries nationwide.